Welcome to Mostly Sewing! My name is Danielle, and thanks for stopping by! 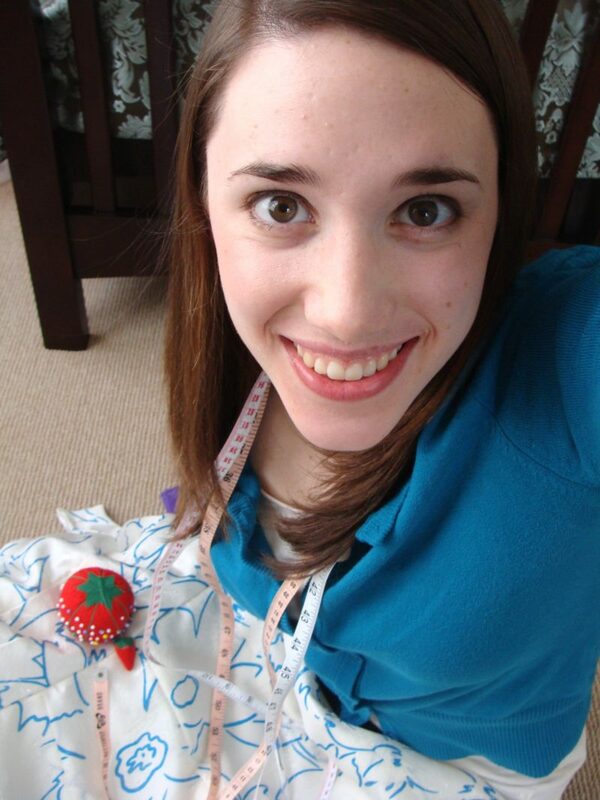 I love quilting, apparel sewing, home DIY projects, scrapbooks, and spray paint – but mostly sewing! Sewing/textile-related posts and every Wednesday. I tried to post every day, but it’s a little too time-consuming for a blog that doesn’t make any money. One day when I was 14, my mom left me alone with her sewing machine… In one weekend I made an entire quilt. I’m married to the best guy ever 🙂 and we live in North Jersey. I use a lot of !!! and I’m excited about everything! I try to make all my projects useful. I love art I can use everyday: quilts (you can never have too many!) ceramic dishes, hand-made clothing, knit scarves/ hats/ socks. Leslie Knope is my hero in everything. Want to get in touch? Click the email link below! I love the opportunity to test patterns and play with fabric! do you customize the burlap coffee sleeves? Hi! I can’t do embroidery/monogram (i don’t have an embroidery machine), but if you provide color or ribbon suggestions I could make one for you. Hi Danielle! You are an interesting personality… Nice to know about you! Happy blogging!